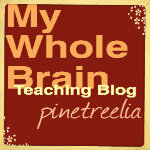 Getting Your Whole Brain Teaching Blog Noticed!! 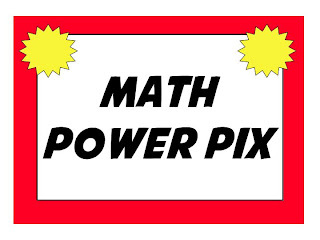 So I have to admit I am on a blogging frenzy and I happened to notice that Miss L over at Miss L's Whole Brain Teaching was getting a LOAD of hits when I googled Whole Brain Teaching. What was I not doing that she was obviously doing? Then she happened to share a blogging tip in her latest post. Thank you, thank you!!! So I thought I would share a few of my own! 1) Gordon's Blog: When you are commenting on someone else's post on their blog always leave a link to your blog. You can do this very easily by heading over to Gordon's blog and filling in the required information. Voila - you get a nice bit of html code that you can copy and paste into your comment! I keep mine copied onto a digital sticky note for easy access. 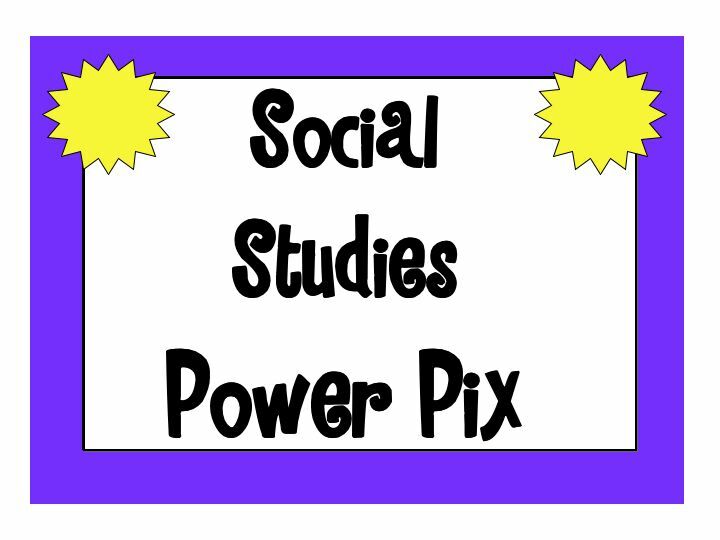 2) Share your new posts on Facebook and Tweet them on Twitter! At the bottom of every post there is a little section of buttons. Click on these and be sure that your friends and followers are reading your posts! 3) Also, notice the Labels below. Make sure to label all your posts so they are easy to find! 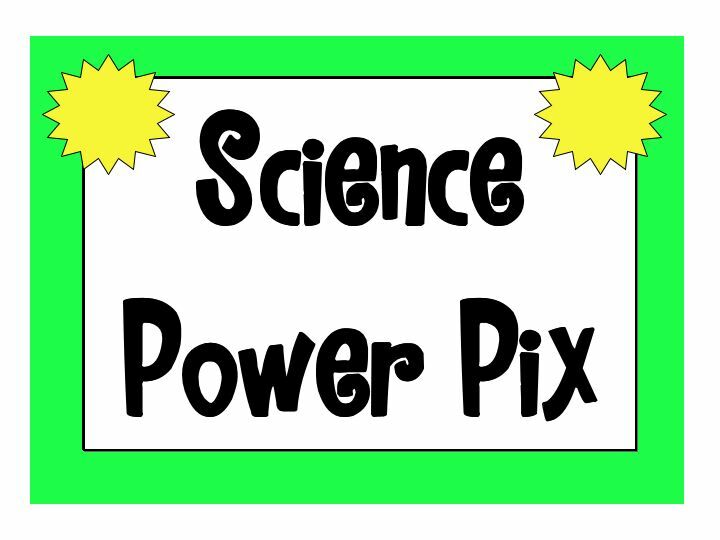 4) Create a blog button! Use the following sites to create your own button! 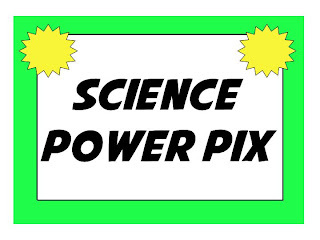 My blog button JPEG ready to be added into the html code! 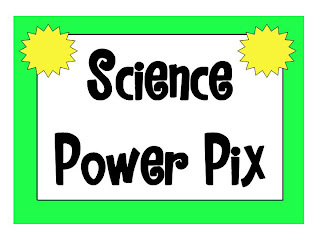 5) A shout out to Misty over at Think, Wonder, Teach for teaching me about scheduling your posts. You can build up a collection of posts and choose what day and time they are published on your blog. That way if you are away you will still have new posts appearing for your followers! Also, Misty cautioned to never post twice in the same day and try to post at least once a week! So even though I am writing this post today, I have it scheduled to come out next week! Genius!! I hope you are all enjoying the summer so far! I have been busy going to music festivals, Zumba class, salsa dancing, and the beach. Today is kind of cloudy so I thought I would take the opportunity to share my newest Super Improvers Wall Kit. One of my blog followers requested an Owl Themed Kit and I got inspired! So here it is!!! Click on the picture above for your free copy!! Thanks and happy Whole Brain Teaching!!!! 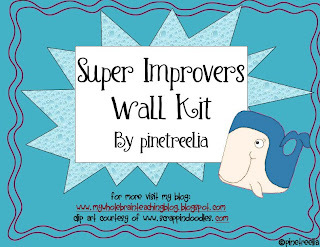 Also, check out my other two Super Improvers Wall Kits by clicking on the picture below! Excited about Whole Brain Teaching and want to learn more? Unsure of how to start Whole Brain Teaching in your classroom? Join some other Whole Brain Teacher for a chat and pick their brains about those nagging questions or quandries you might have. "How do you start Whole Brain Teaching?" Join the growing community of Wibbeteers! Meet, greet and learn the first steps for starting WBT! I am so excited to reach 100 followers!!! 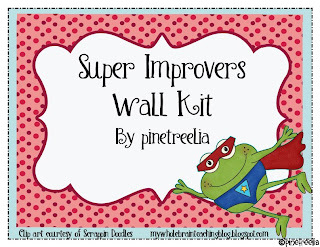 In celebration, I am giving this Super Improvers Wall Kit to whoever would like it!! Click on the picture below for a free copy! I'll send it to you ASAP!!! Happy teaching!!!! 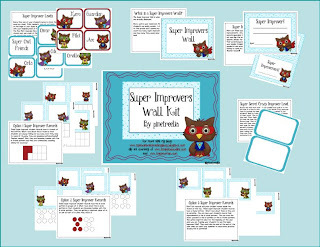 The kit includes adorable graphics from www.scrappindoodles.com and instructions on how to set up your own Super Improvers Wall in your classroom. It includes a wall poster, 11 different levels, 3 options for keeping track of improvements, a Super Secret Bonus level, as well as 3 Super Improver awards/certificates! Enjoy!! Oh my goodness, I nearly fell off my chair while I was watching last weeks webcast on the Whole Brain Teaching website. Red/Green Marker writing is so fabulous I am a tad bit envious I didn't think of it myself:) Still, as part of the WBT team we can definitely celebrate in the genius of it!!! As a grade one teacher, I have always struggled to teach writing. Being an English major in university, I always want my students to do more so I set the bar high! Every year, it overwhelms some of my little sweethearts and no WONDER!! Insert nagging voice here: "Don't forget your spaces, periods, capital letter rules, I by itself, touching the lines, spelling correctly, making sense, using correct punctuation, using a variety of sentence starters, never starting a sentence with and or because, word choice, voice, organization, etc., etc., etc....." I could go on and on and on! It is so difficult to correct a student because they usually hear the first comment and promptly forget the rest - and I don't blame them since I often do the same at staff meetings:) Hopefully, my principal isn't reading this! Enter the fabulous, Whole Brain Teaching method, master of simplicity and all that is wonderful in teaching....wait for it....Red/Green Marker Writing!!!! Step 1: Obtain a red marker and a green marker. Step 2: Assign a time limit for writing. 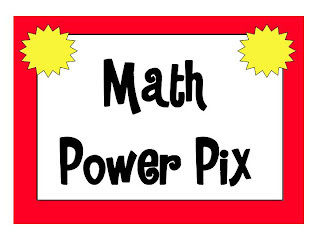 For Grade 1, in September, I am going to start with 10 minutes and see how it goes. My first assignment is usually finishing a sentence that I give them so that should be enough time. Step 3: Establish ONE writing objective for that assignment, either with a mini-lesson or simply as a expectation for that assignment. The Power Pix work wonderfully for this part!! 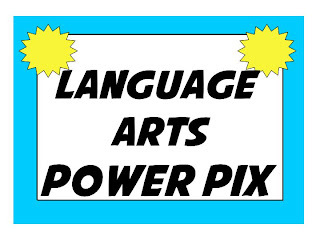 You may want to make a class objective - example, spaces between words, or, neatness. You may want to differentiate for your advanced students by assigning them objectives, specific to each students depending on their skill base. As you students advance in their knowledge of writing, you might have them write down their own chosen objective for that writing assignment! Oh, tears of joy are overflowing, because I can't wait for my students to assess their own skills!!! Imagine the success they will feel when they meet the goal that THEY chose for themselves!! Can we say ownership!!!!!! Step 4: OK, now here is where the blessed simplicity of the whole system comes into play. While students are writing, walk around with your red and green marker. For each student, put one green dot by writing that meets the objective. Put one red dot by writing that could be improved. Even your fabulous writers can improve their writing, so each student receives one green dot and one red dot per page of writing - that's it!! No talking, no listing numerous writing rules broken - one positive, one area to improve on, and that is it!! LOVE!!!!!!!! I cannot WAIT to try this out!!! Step 5: Teach another objective and then after a period of time and assessment, scaffold the two objectives. This time as you walk around handing out red and green dots, look for both objectives to be met. I am curious to see how this will work for me and for my students. I am tempted, for simplicity sake, to stick with one objective, although still reminding my students that I expect them to continue to practice the writing skill, previously met. 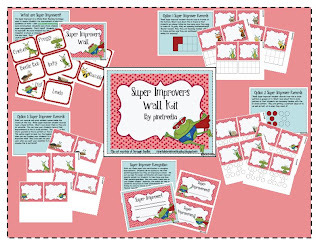 Step 6: Reward writing improvements with the Super Improvers Wall! During the webcast, Coach B pointed out that even if a few of your strong students are already, for example, spacing their words correctly, have them focus on consistently making the same amount of space between each word. All students have room for improvement! Well, my blogging buddies, September, here I come with my red marker and my green marker!! Those little tykes won't know what hit them - they will be in love with writing and writing will be in love with them! 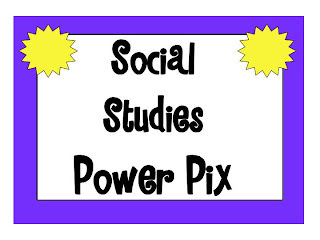 Super News and SO...a Freebie!!! Hello blogging friends!! I have SUPER news! I am no longer a Whole Brain Teaching intern!! Chris and the team let me know I have completed my internship and I am now ready to start honing my presenting skills!!! So first thing is first! Join the lovely Nancy Stoltenberg and I, along with other wonderful WBT teachers this Tuesday, July 10th for a FREE, FABULOUS WBT webcast as we fill in for Chris, who is on his way to Ohio for a WBT conference. "WBT Grade Level Teams Now Forming!" Below are the links to the new WBT Grade Level Facebook pages. Make sure you check them out!! Teacher collaboration at its best!!! Pick your grade level and join a WBT Facebook team! Second, I would like to thank all my wonderful WBT blog friends and teacher followers out there who read my posts and have given me encouragement!! You are wonderful!! 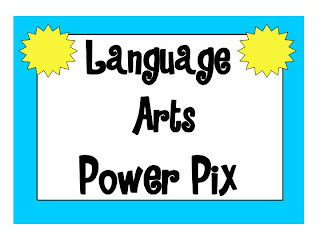 Power Pix Wall PosterTreats for all with two font options!! Click below to download! 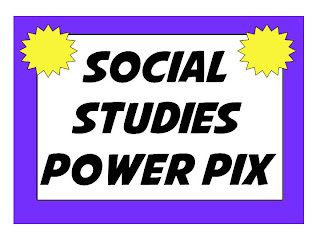 Enjoy friends and happy blogging/teaching!! I'm going to go and enjoy the beautiful weather!!! 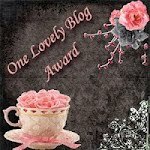 The lovely Nancy Stoltenberg has awarded me the "One Lovely Blog Award!!" Nancy is the Whole Brain Teaching Certification Coordinator. Thank you SO much, Nancy!!!! Be sure to visit her blog! Here are the blogs I am passing this award on to! Please make sure to stop by their blogs!